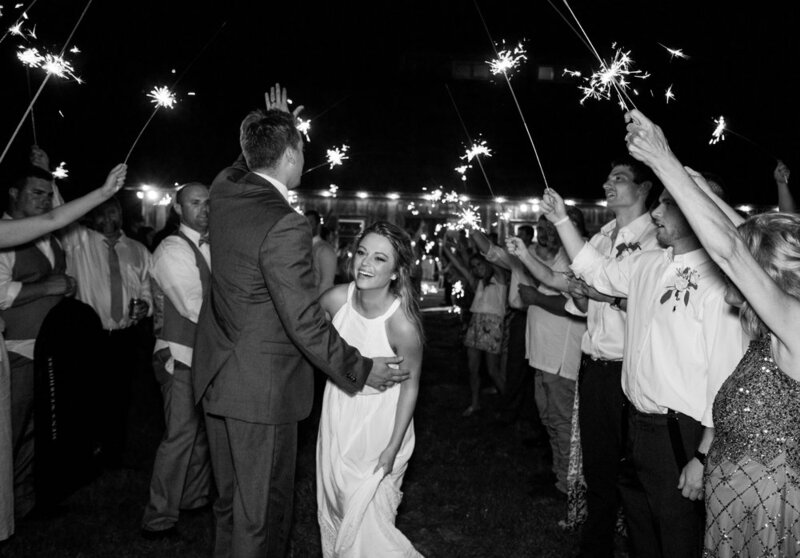 Boasting natural farm beauty, a commanding & elegant Hop Yard, and over 3 acres of Wildflowers, the artfully designed ceremony sites at The Farm comprise the magical backdrop that you have been dreaming about since the day you said, "yes, I will marry you." 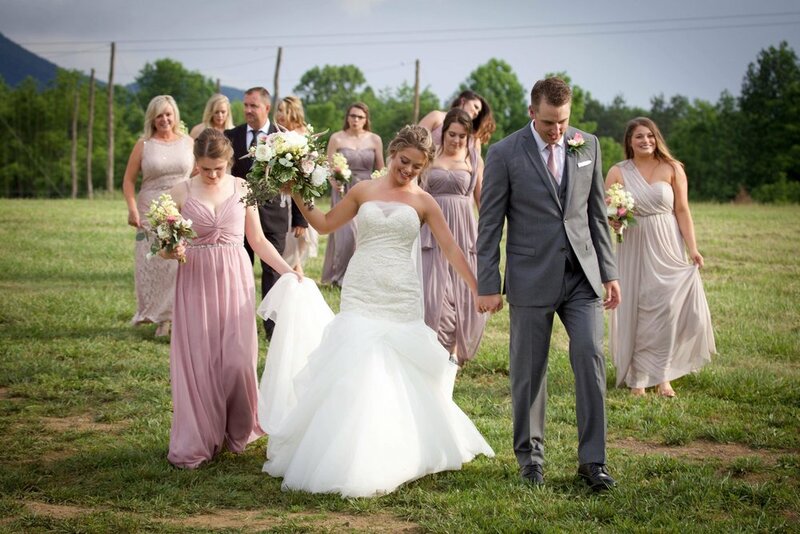 For more intimate Ceremonies, The Orchard near The Barn lends a more traditional farm setting with the mountains and main farmhouse in the backdrop, while The Bluebell Forest offers an enchanting and whimsical atmosphere. 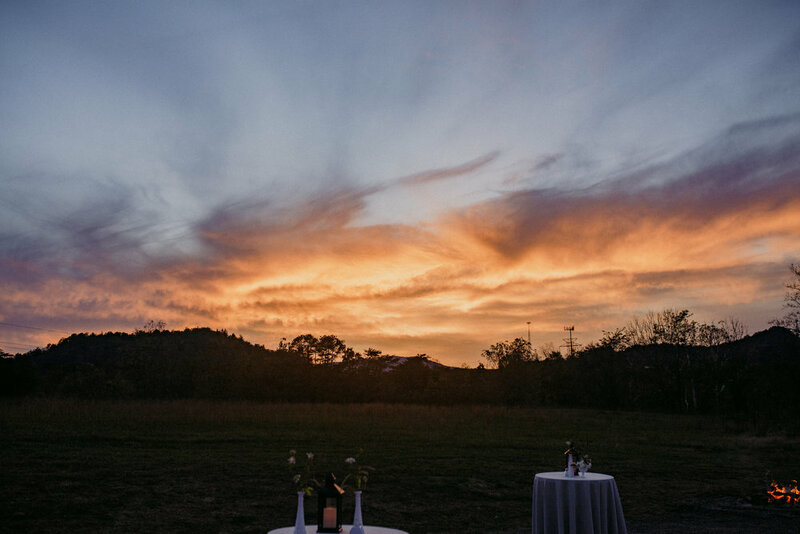 The River Stage, suited for larger parties, offers big scale grandeur coupled with rustic charm, and our Hop Yard, provides big sky, majestic Blue Ridge views, breathtaking sunsets & wildflower color. At The Farm, the possibilities are endless. 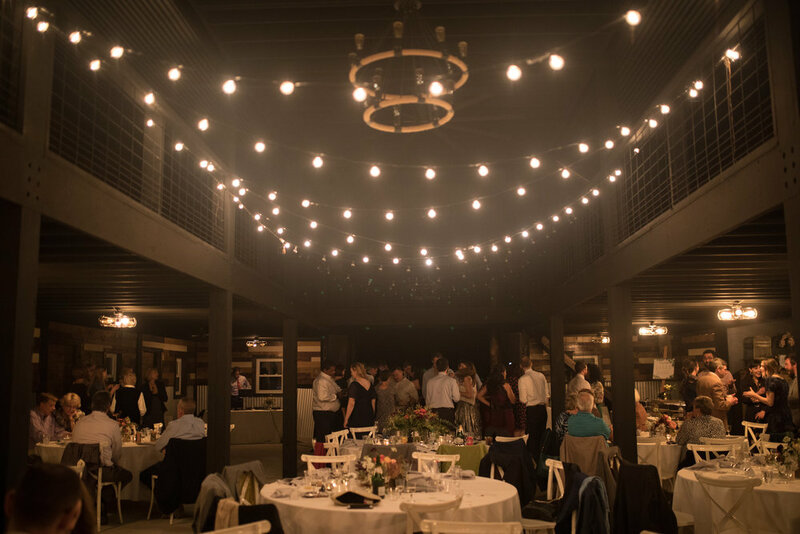 Receptions up to 200 guests may be held inside The Barn, while larger parties celebrate at The Atlas Pavilion under a tent and the stars. 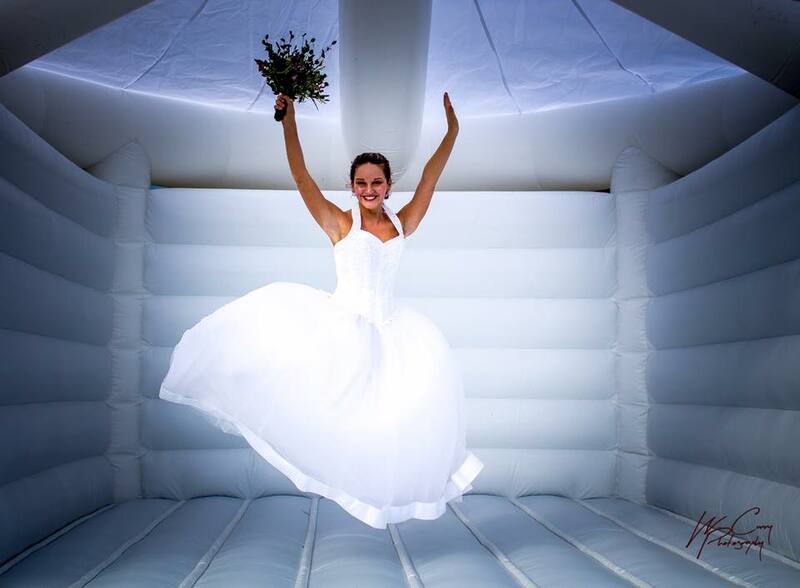 Wedding packages start at $5,100 and are custom designed to meet needs, dreams and budget. For more information, to save your date, and start building your package, please inquire here. 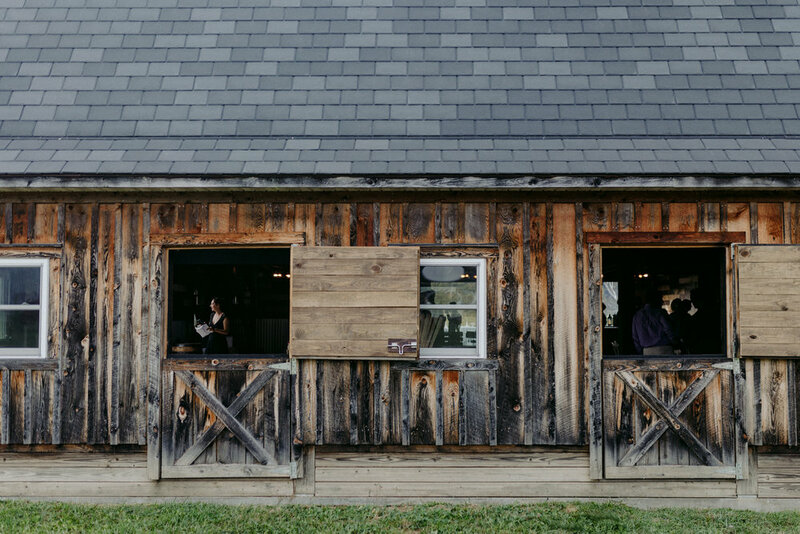 The Barn- Comfortably seating 200 people, our large, heated barn features two patios, one that opens to our built-in bar/"tap house," and one that extends off of the back leading to the hop yard & wildflower views. 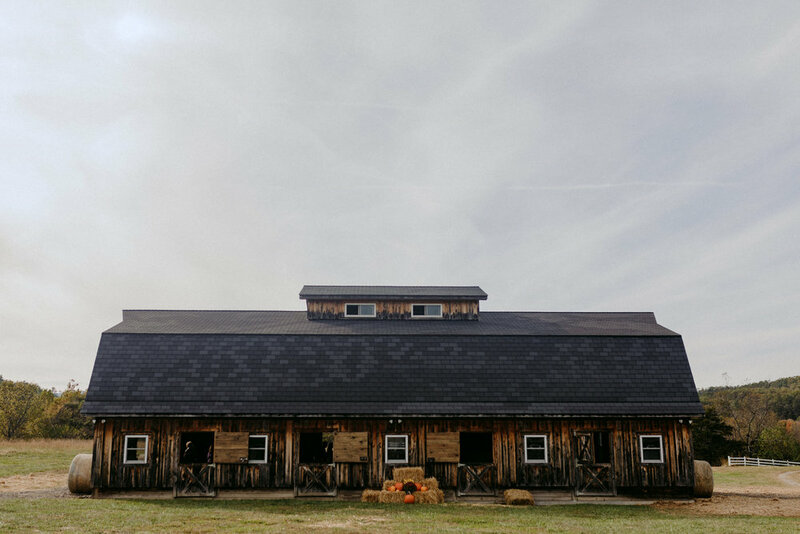 The Barn, houses a bridal suite, 12’ x 12’ or 12’ x 24’ maple dance floor, radiant floor heating, a catering prep kitchen, handicapped accessible restrooms, stage area for bands & DJ's, upper level seating for up to 80 guests, balconies for socializing & aerial photography, Edison lighting, and more! The Atlas Pavilion, (30’x45') is perched above the crystal clear waters of the Cowpasture River, and is the ultimate outdoor lounge combining both luxury and nature. The open-air Pavilion features upscale furniture designed for socializing, a full kitchen for caterers with stainless steel appliances, a built in bar, and a single stall restroom. 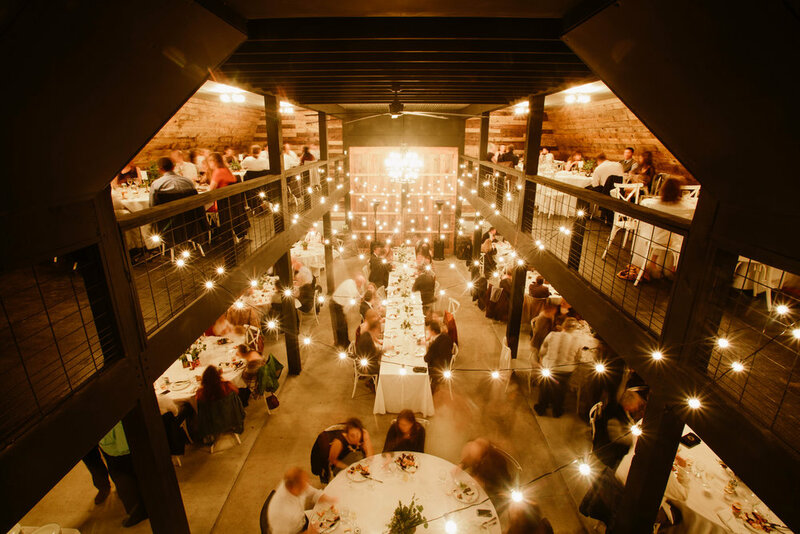 Boasting a high-end Polk audio system with speakers both inside and out, the Riverside Pavilion is the perfect location for Rehearsal Dinners, Brunches, and Cocktail Receptions. Two Outdoor Bars- (1) mobile station for use at the River Stage, and (1) inside the Atlas Pavilion. Our wedding FAQ page can be found here. 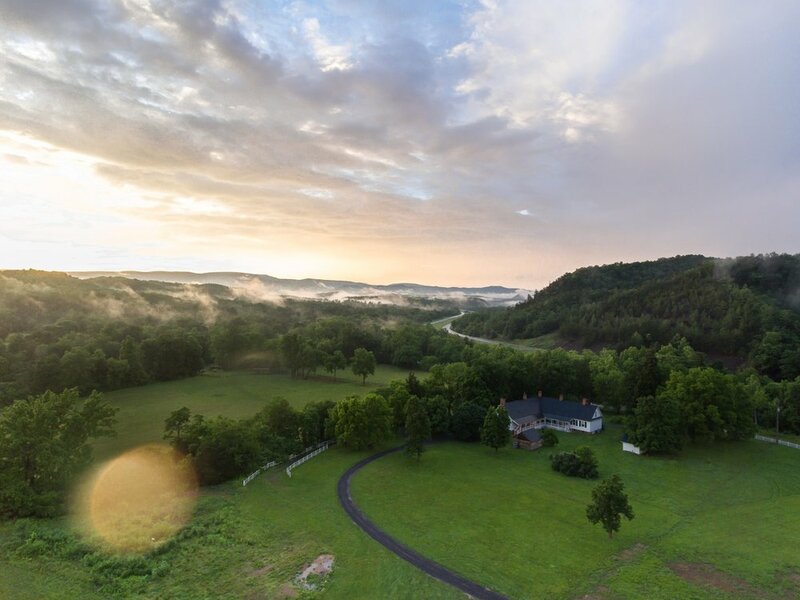 Conveniently located near I-64, The Farm at Glen Haven is only minutes away from upscale B&B lodging in Clifton Forge. 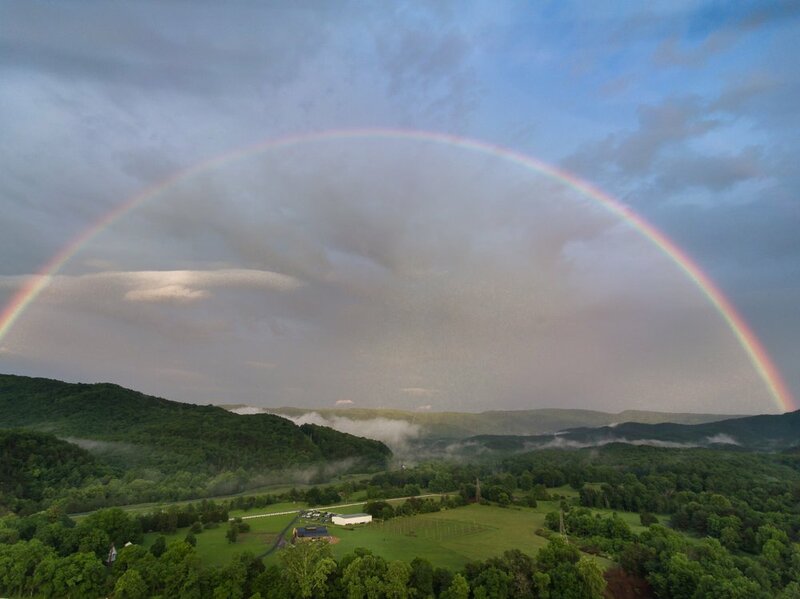 Chain hotels are within a 15-20 minute drive in Covington & Lexington Virginia, and luxury accommodations can be found within a 45 minute drive at the Greenbrier Hotel in White Sulphur Springs, and at the Omni Homestead in Bath County.